The chicken here was slippery, slightly waxy and bouncy - probably poached in a rich consomme of sorts. It was very good, and best out of the three I tried this trip, but it wasn't the best chicken I've ever had. In fact, I've never had Hainanese chicken that has really knocked my socks off. 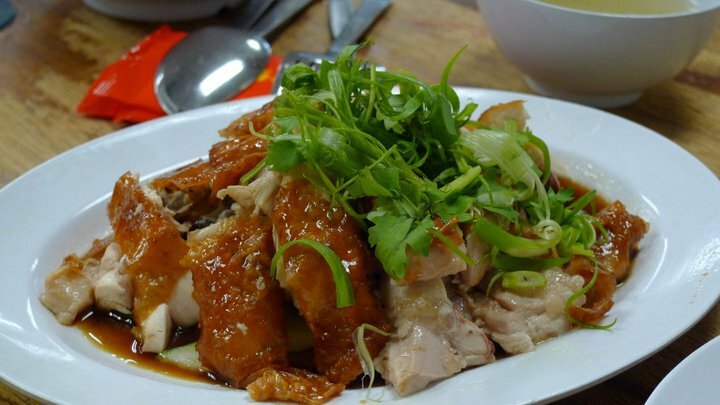 Maybe I'm just spoilt by the intense flavours of steamed Chinese free-range chicken, or simply more used to it. Food has such a classical cultural conditioning component to it that we all seem to forget when we're talking up "best" lists and the like. Anyway, I digress (way too early in the post!). Standard sauces and a disappointing barley drink (weird syrupy taste). 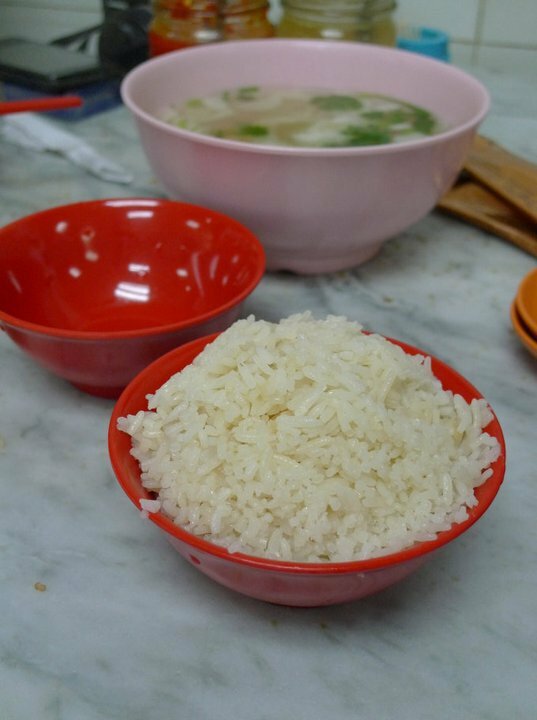 Decent rice and soup, nothing much to say - neither were bad but there was nothing standout about them. 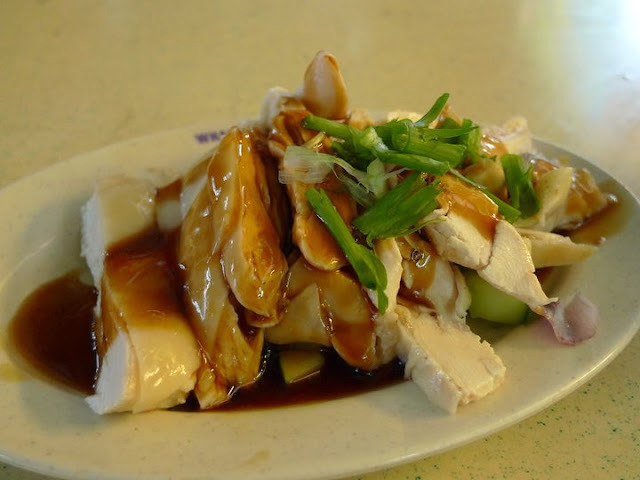 This is their white chicken - if you like fat & jelly, this is for you. Perhaps this was what kept it more hydrated than the Yet Con chicken. This was more a wet & slippery variety (I personally prefer a greater "chew" factor), but quite tasty nonetheless. Something makes me think this was also a frozen chicken though, or at least not a free range one that sat around and got horribly fleshy and fat. Then again, I know a lot of people appreciate fleshy chicken and think chicken should be fleshy. Each to their own. I like bones and I think less flesh means more flavour (for simplicity's sake, let's say the "amount" of flavour per chicken is constant, so if you increase mass, you'll decrease flavour per bite/cubic cm - of course flavour isn't constant, but if you know of a big fleshy chicken absolutely packed with flavour, we need to talk). The roast factor makes everything more intense and interesting for the palate I suppose. This was good, same wet quality as the white chicken. 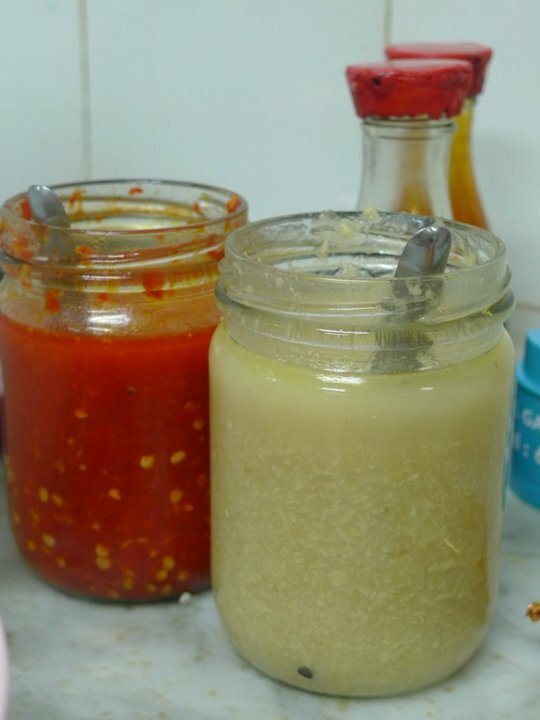 Grated ginger rather than a sauce - I don't know what's 'authentic', but anything that maximises ginger content is good by me. The chilli was relatively fluid, similar to Yet Con's. Rice - alarmingly large grains! But other than size, little to report. Deeper soup than the usual savoury dishwater variety. 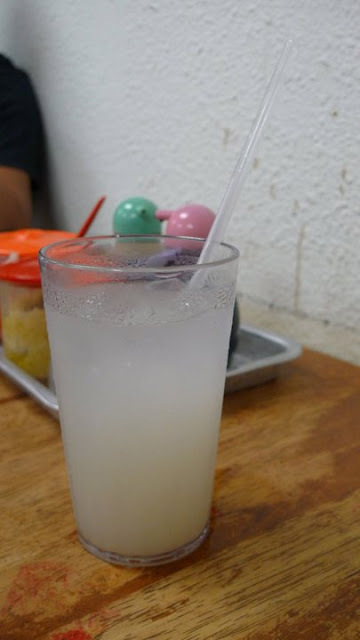 Pretty decent barley water. A bit too sweet for me still. For the record, the best I had this trip was a Founder bak kut teh. 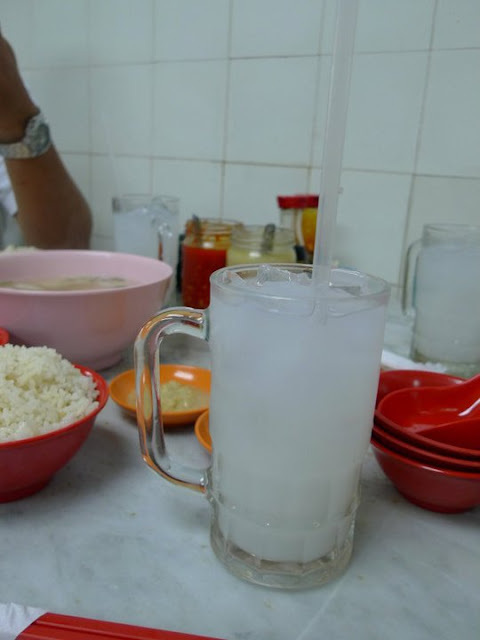 It was at Nanxiang that I started to wonder what really matters in a chicken rice. 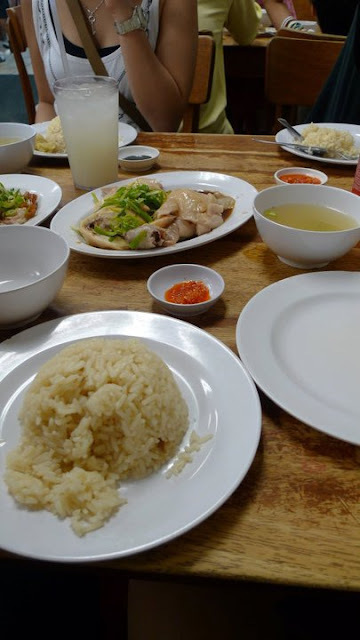 I was always under the impression that fantastic chicken was a prerequisite in a chicken rice - and only after that do you go on and ponder the rice, sauces and soup. I'm not afraid to say that this chicken was a limp, chalky, tasteless mass of protein (not the sauce, the quality of the chicken itself). With rice so exemplary, it was a real shame that this chicken was so below average, yet Nanxiang is often considered one of Singapore's best. So I guess I had my priorities all wrong...? As I said, the rice was terrific. Fluffy and dry, and almost crisp (like the bits stuck on the edges of claypot rice) and al dente, with a good toss of ginger. The chilli was also superb - I think they blended it with some lime juice. 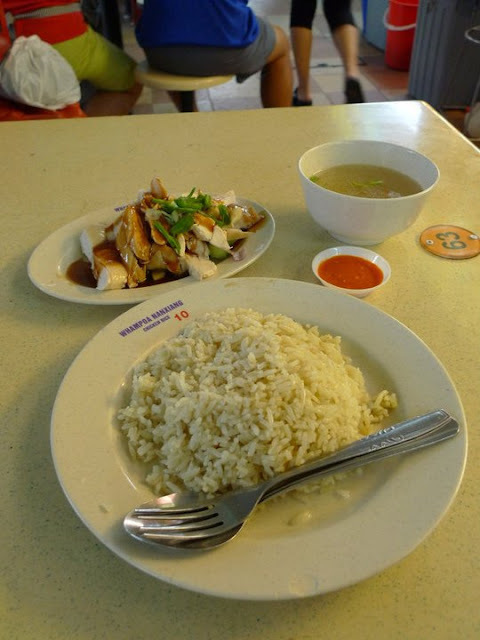 After these 3 chicken rices, my ideal would be Yet Con chicken + Nan Xiang rice and sauces + Wee Nam Kee's soup. 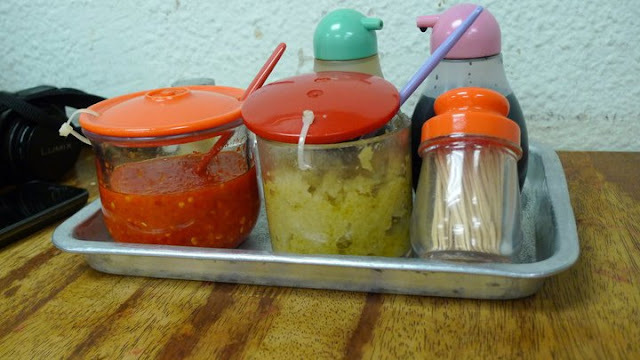 That said, the only thing that truly knocked my socks off was Nanxiang's rice & condiments. YC's chicken was better than the rest, but still not wow. I have a feeling Singaporeans/Malaysians are probably quite different to us Hong Kongers when it comes to chicken rice preferences too! Wud love to know what they think as well! Reminds me of HK vs Japanese ramen expectations. Hard to judge! Fleshy flavourful chicken are creatures of fantasy...like unicorns. thanks for the info on the claypot rice! Stumbled upon your blog. Love your take on food and your writing style. Didn't spend more time looking on your blog but surprised if you have not had Tian Tian @ Maxwell Food Centre. Great rice. 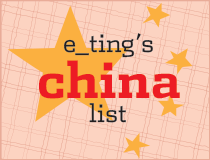 In the same tier as Nanxiang. Decent chicken, good chilli sauce. A winning overall combination. 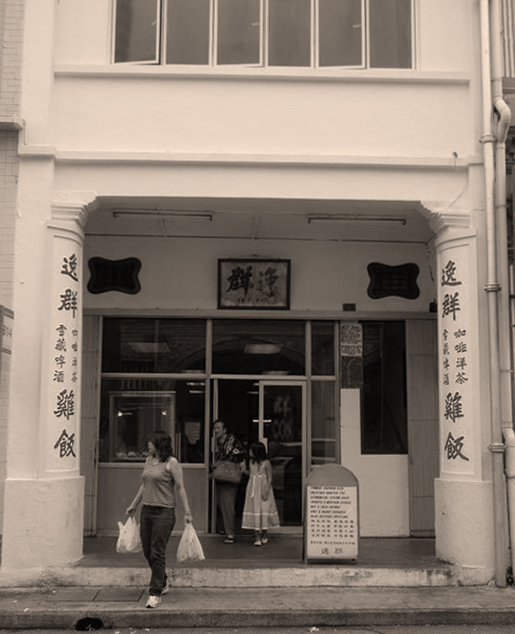 Nanxiang has a branch on Tanjong Katong Rd, which is nearly another great chicken rice joint in the basement of Katong Shopping Centre. Convenient if you are on a chicken rice eating spree. The chicken part of Hainanese Chicken Rice equation, to me, is not as important as the rice. Not a big fan of bland white boiled chicken. 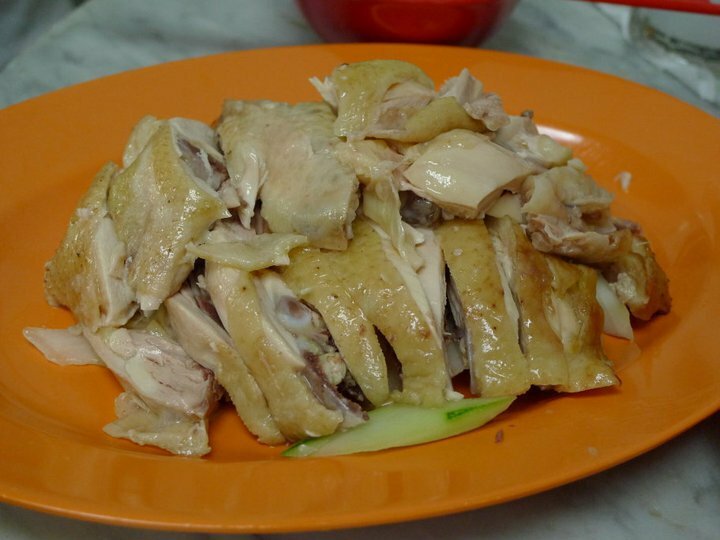 Some do make it better than others, e.g Tian Tian's chicken > Nanxiang's. But it's the overall combination of chicken, rice and a good chili sauce that will hit the spot for me. Five Star, Boon Tong Kee... bleh. i'm salivating reading this post. 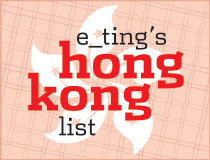 i usually go to boon tong kee which is good, but largely over rated. grew up in serangoon gardens, so grew up on the famous pow sing chicken rice, and i also like tientien chicken rice from maxwell. Although it's the giant curry puffs I really dig from maxwell market!!! There's another variation of ginger chicken rice @ soup restaurant, it's a samsui woman recipe. you eat it wrapped in a lettuce, but the chicken is really really tender and good. ironically, i have never tried any of the 3 places u've been, so shame on me and will go there next trip home!